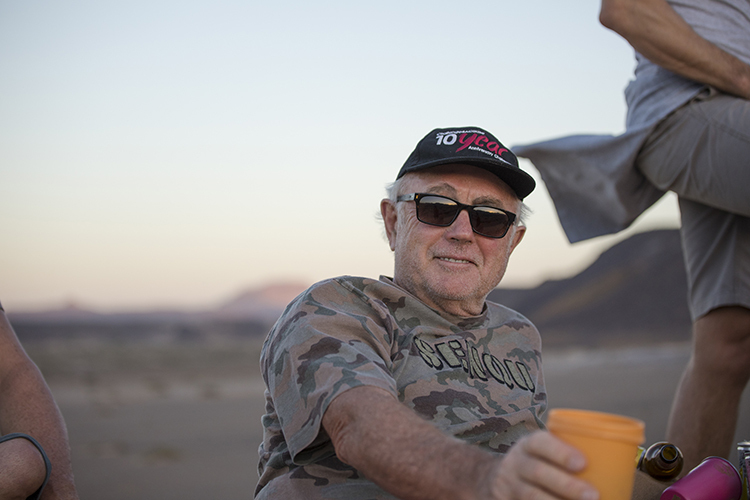 In search of of the unknown, of the wild and wonderful of Africa, Paul Harris (Owner of Ellerman House in Cape Town) and daughter, Nicola Harris, joined this year’s Challenge4ACause in the Damaraland Desert of Namibia. 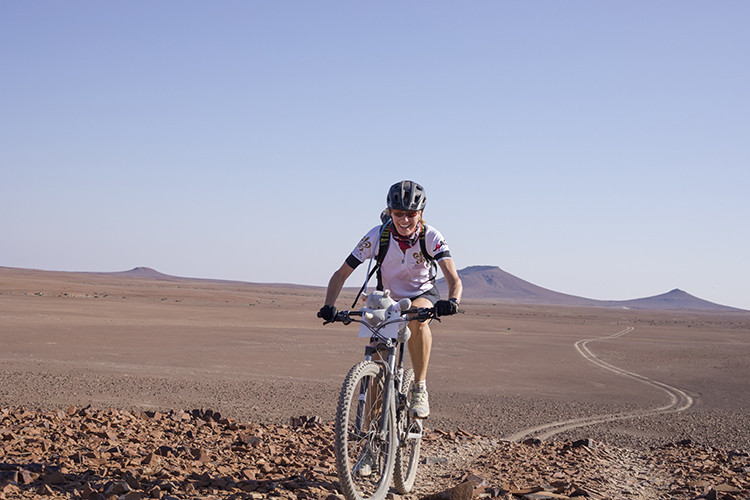 Representing Ellerman House, they pedaled alongside many other faces of the Relais & Châteaux team. 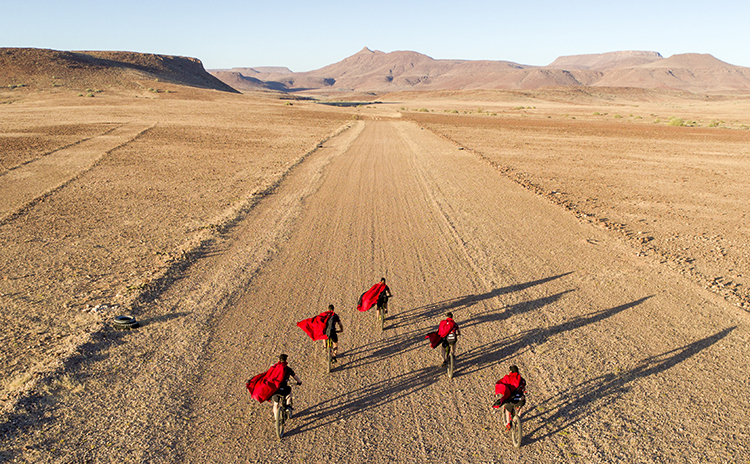 Here is a glimpse at the experience through their eyes, as they travelled across one of the most inimitable and isolated wilderness areas in the world, for six days, covering 360 kilometres on mountain bikes, to raise funds for rhino conservation and other projects in Africa. 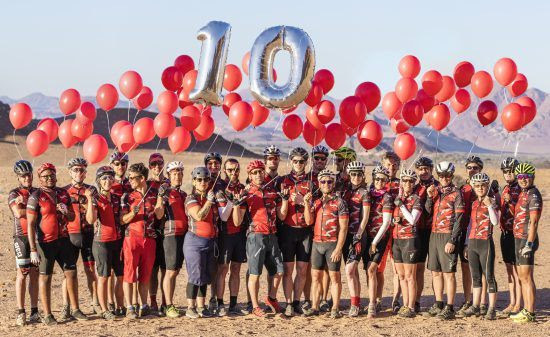 For more information about the challenge and charities involved, read our blogs: Great Things Are Done When Men & Mountains (& Deserts) Meet, and, A Wilderness Experience With Heart. R&C: What was Challenge4ACause like as an experience? 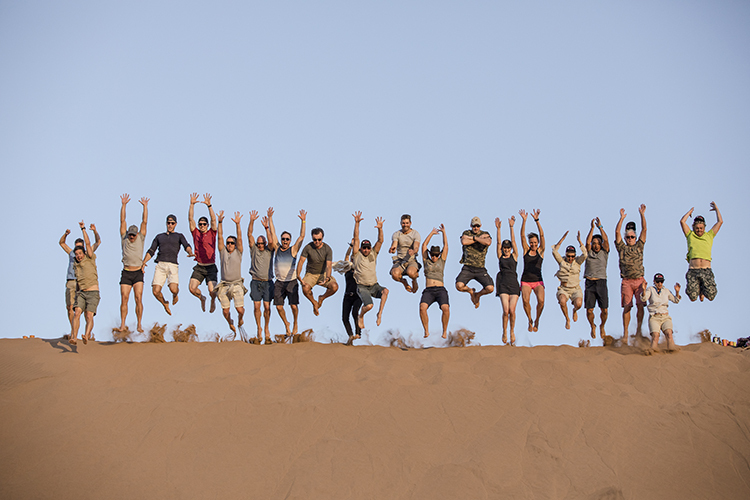 Paul: It was an amazing experience, with great people. No cell phones. 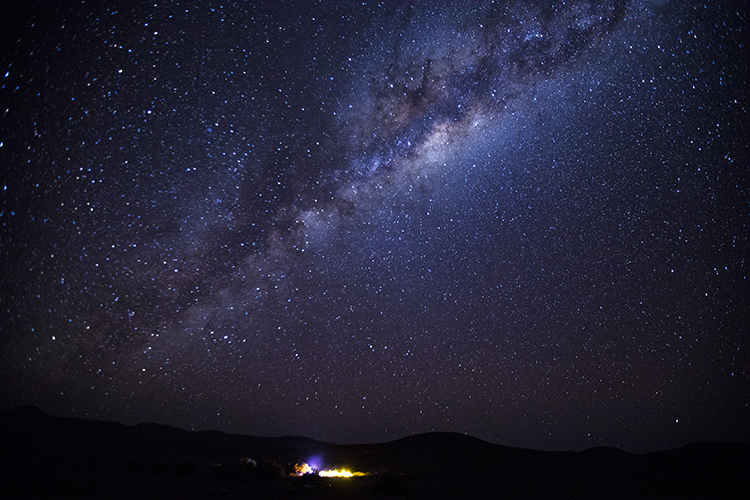 No city lights, so the stars were like diamonds in the sky. Rugged terrain. Spectacular landscapes. 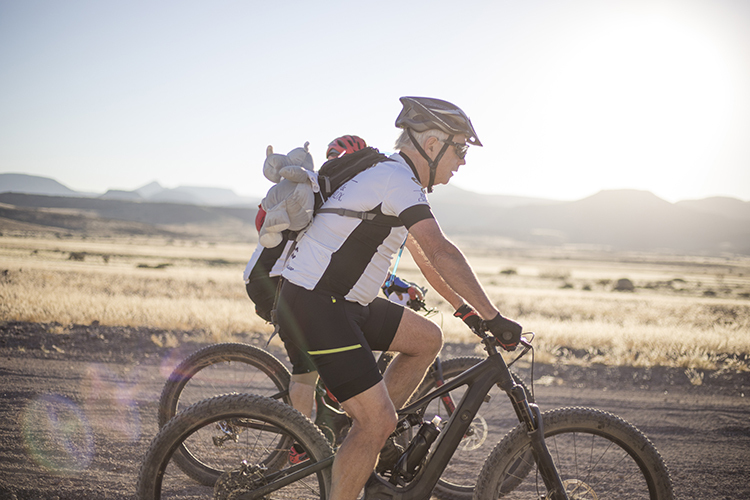 Paul: Finishing without falling, the beer at the end of the ride, and being together around the fire at night. 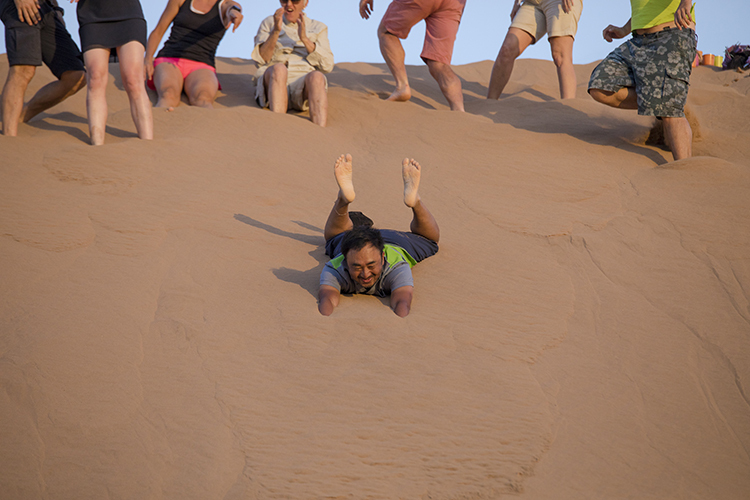 Paul: The fear of falling along the way… what with the terrifying steep declines with rocks and sand. For Nicola, it was a similarly amazing week. 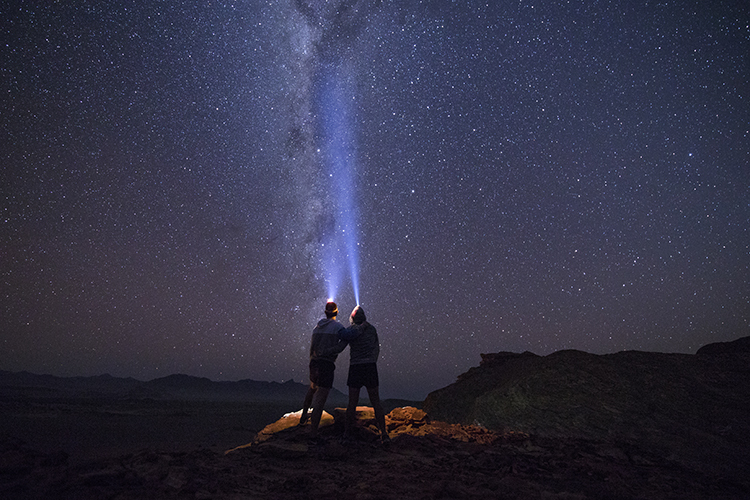 The highs for her were not having contact with the outside world, “being able to be completely present,” she said, as were the scenery, the night skies and the group of people. The lows were “the five hills in the last 5 km of day two, after spending seven hours on the bike in the scorching heat”. Ah, so they are human, after all. 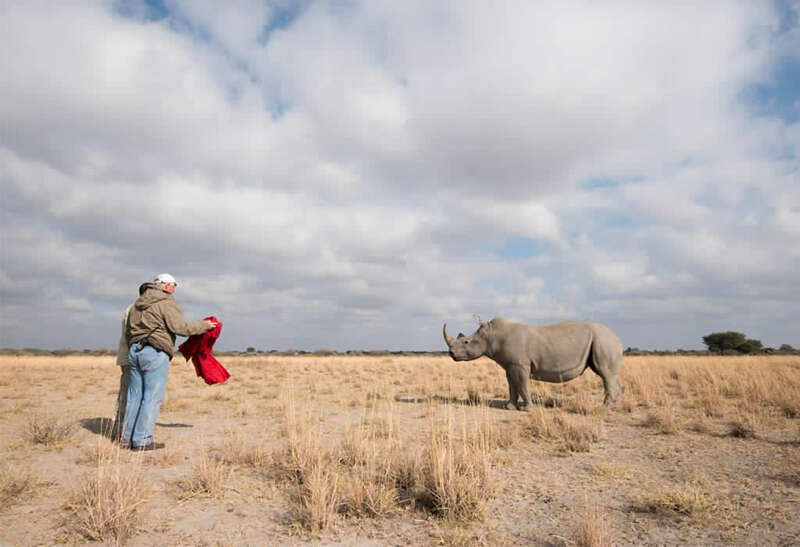 As much as the story of the rhino has been one beset with poaching (at least in recent years; it is a tale that dates back millions of years after all), it has also been one of incredible compassion and courage. 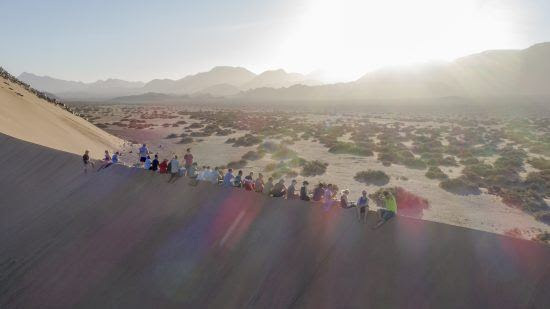 An example of what humankind is capable of when we come together in the name of protection rather than power. 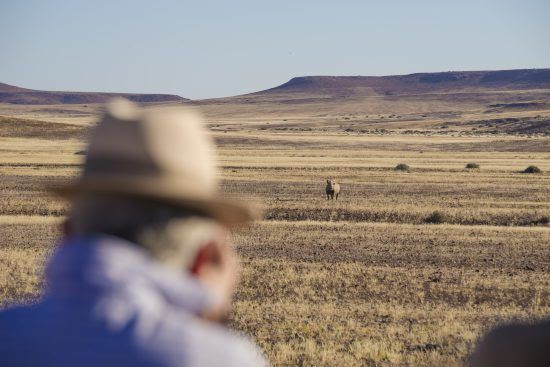 An example of this is the work of Rhinos Without Borders, a project between conservation-minded travel companies – Great Plains Conservation (with its Relais & Châteaux lodges in Africa) and andBeyond. 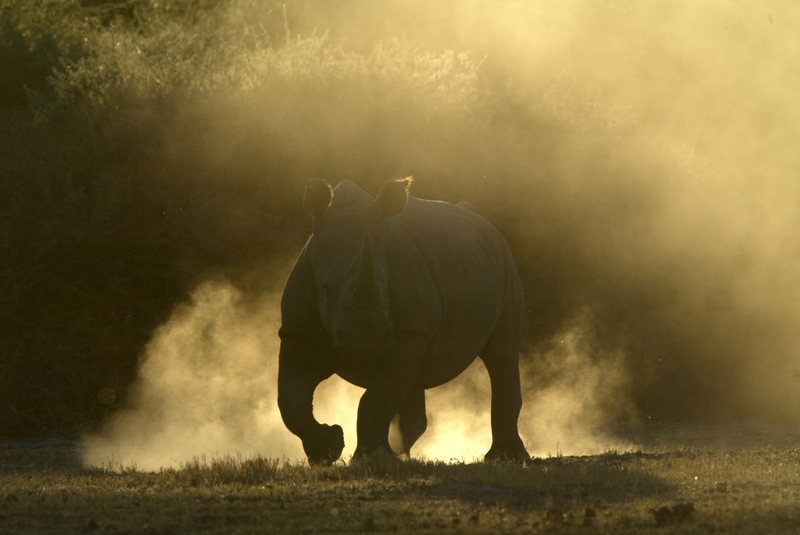 The initiative aims to translocate a total of 100 rhino from South Africa to Botswana. The project has just ensured a bright future for an additional 12 white rhino, which were airlifted to their safe new home in Botswana. 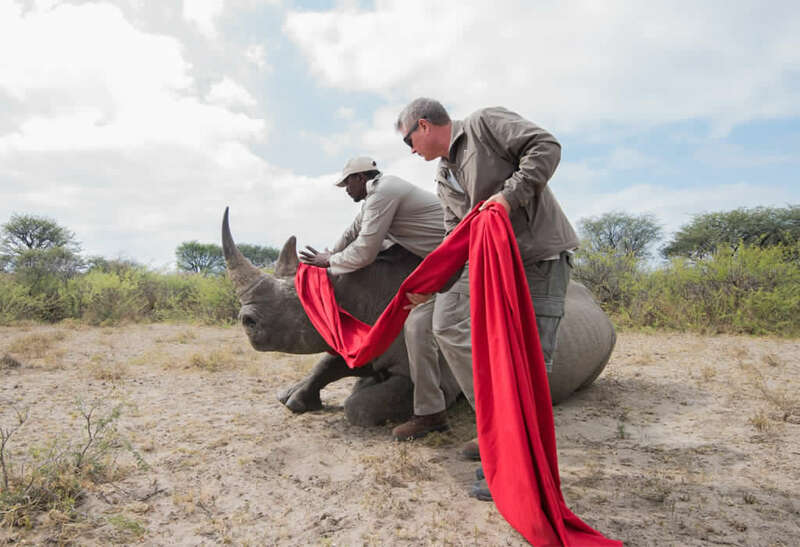 In a bid to save the endangered species, the initiative removed the animals from a high risk area in South Africa, where rhino are being poached at the rate of one every eight hours. “Watching the rhino set free in their new home was a very emotional moment,” says andBeyond CEO Joss Kent. 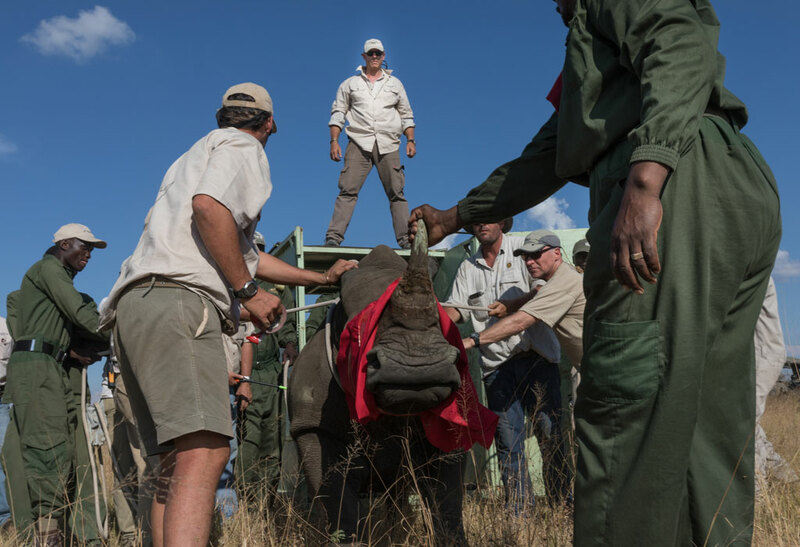 The latest achievement was another milestone towards the project’s goal of bringing 100 rhinos across the subcontinent, from high risk areas in South Africa to highly protected safe havens in Botswana. It was a top secret mission during which the rhinos were deposited on a dirt airstrip in an undisclosed location by a Botswana Defence Force C130 airplane and under heavy military guard. 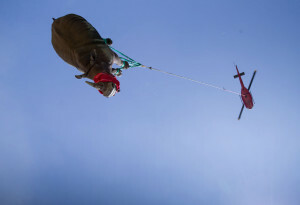 The animals were then ferried to their ultimate destination suspended upside down beneath a helicopter. 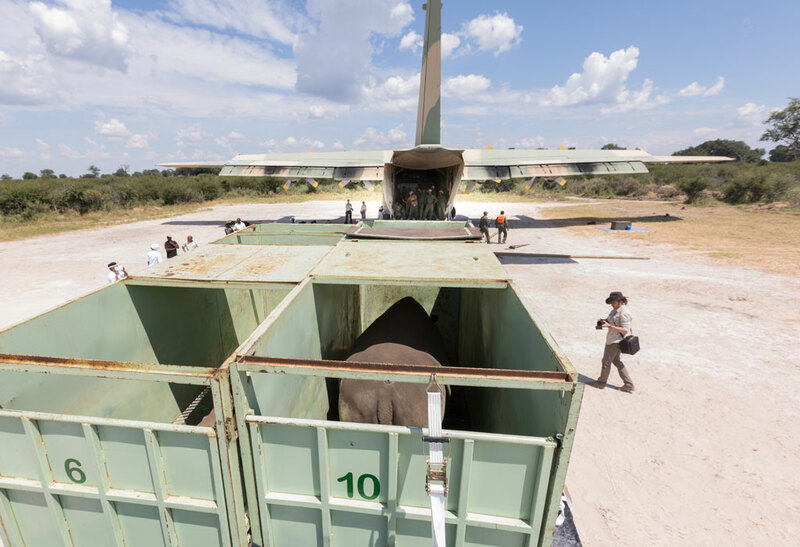 This dramatic method is regarded as the safest and easiest way of getting the heavyweight animals to their brand new home in remote and otherwise inaccessible parts of Botswana. This operation was also the first time that the technique had been used to transport rhino into a new habitat, rather than removing them from an unsuitable one. Rhino are currently being poached at the rate of one every eight hours and it makes good conservation sense to move them away from clustered locations that are easier for poachers to target. 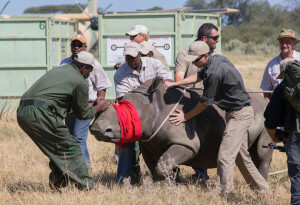 With Botswana in need of genetic diversity in its national rhino population, the Rhinos Without Borders project has been getting the nod from all sectors for being innovative and proactive in solving a number of conservation problems. The 12 animals that recently arrived in Botswana place the project exactly on target and well established to meet its goal of 100 rhino. His Excellency Lieutenant-General SKI Khama, the President of Botswana, as well as TK Khama, the Honourable Minister of Tourism, both participated in the release. The minister expressed his conviction that the unique partnership, which combines government involvement with private companies such as andBeyond and Great Plains as well as private donors, proves that tourism can make a significant difference in the conservation of Africa. 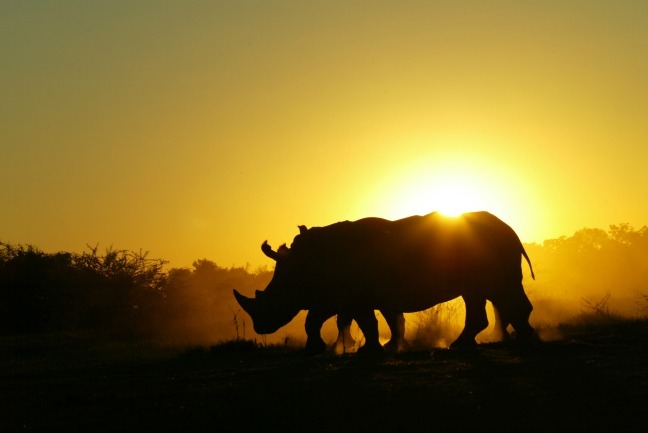 “The number of rhino lost to poachers in South Africa is now higher than the rate at which the species can breed and there is an urgent need to create a new breeding population of rhino in a different geographic region. 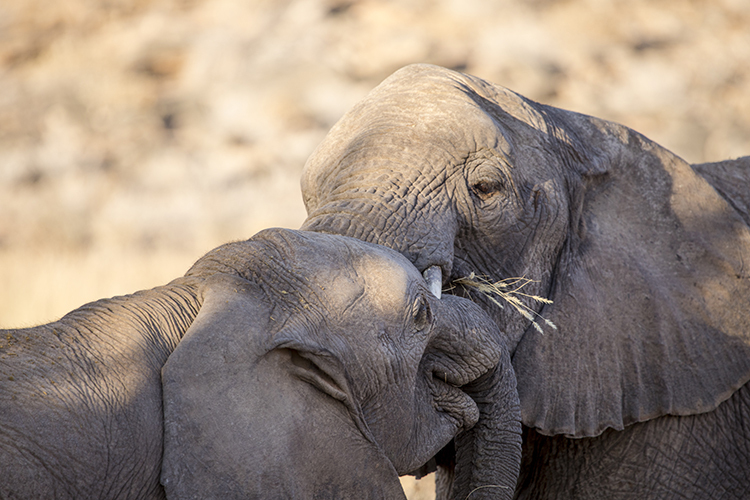 I firmly believe that we have taken a big step towards ensuring a safer future for the species and I am excited to do even more,” adds Kent. The Rhinos Without Borders team have already earmarked an additional batch of rhino for translocation. To find out more or to contribute towards future rhino translocations, visit www.rhinoswithoutborders.com. Take a look at photos from all of the translocations since 2015 here. 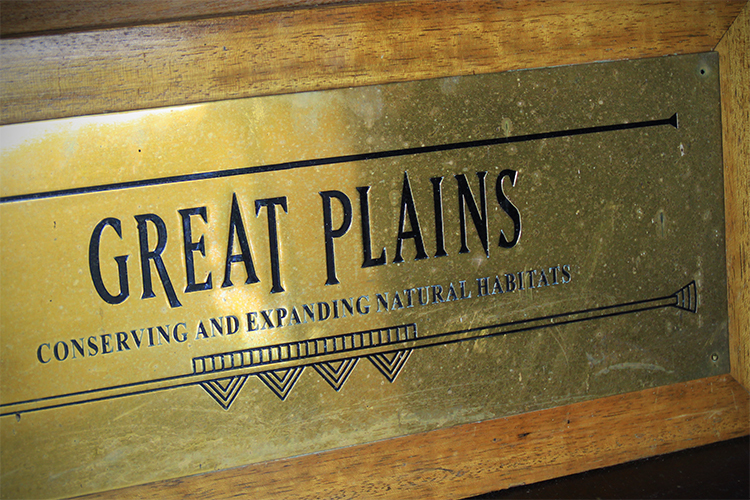 Great Plains Conservation uses tourism to support the economics of conservation. 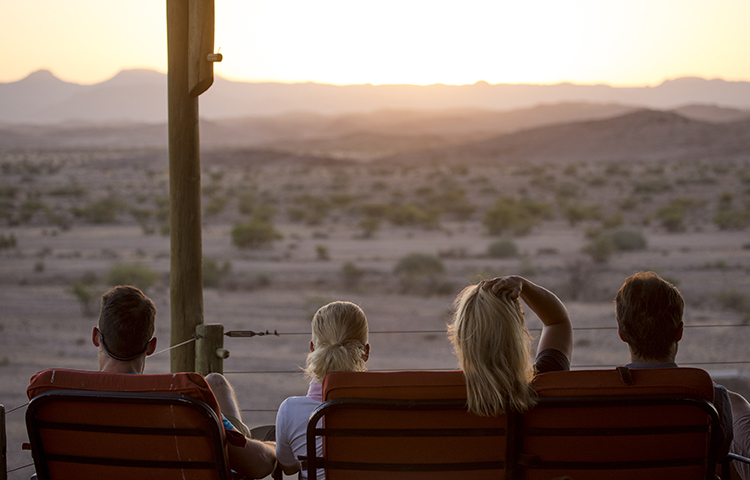 Each safari camp provides a meaningful and life-enriching experience, and does so with a strong commitment to the lowest impact and highest value safari operation. 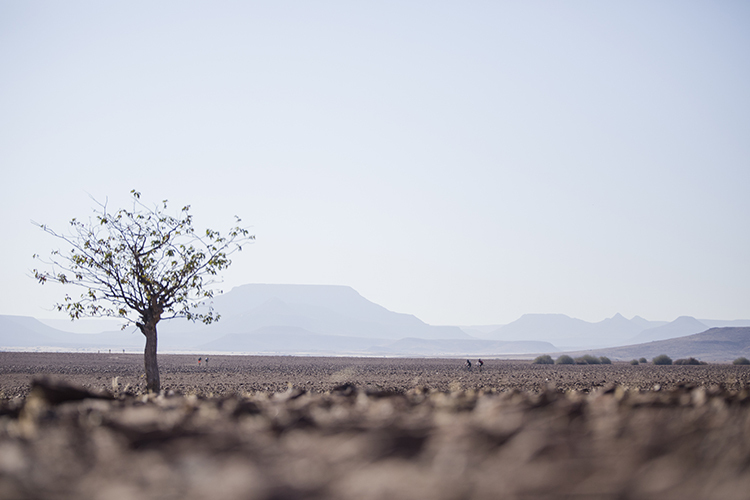 Its seven camps in Botswana and three camps Kenya are leaders in environmental sustainability and community partnership. 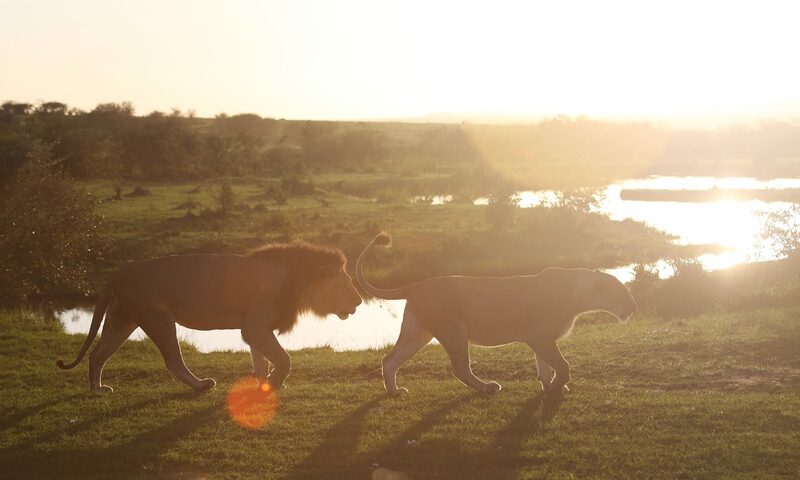 Great Plains Conservation is continually recognised for its role in harmonising the needs of local communities and wildlife to provide havens for Africa’s wildlife and the ultimate in guest experience. 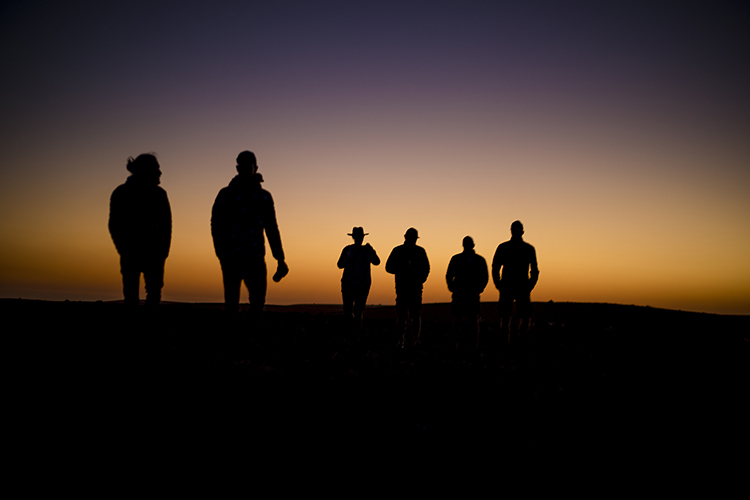 Congrats to the rugged riders of this year’s Challenge4ACause expedition through the Damaraland Desert of Namibia. We had no doubt that our own Relais & Châteaux Africa representatives would finish, but for them to still be smiling at the finish line… how inspiring you truly are! Congratulations to Shan Varty and Anthea Boehmke (Londolozi), Paul Harris and Nicola Harris (Ellerman House), Julia Geffers (Relais & Châteaux Paris), and Hidehiro Kubo (Relais & Châteaux Japan). What this accomplishment shows is the ability of individuals to come together to affect change, to do good, and to inspire others. 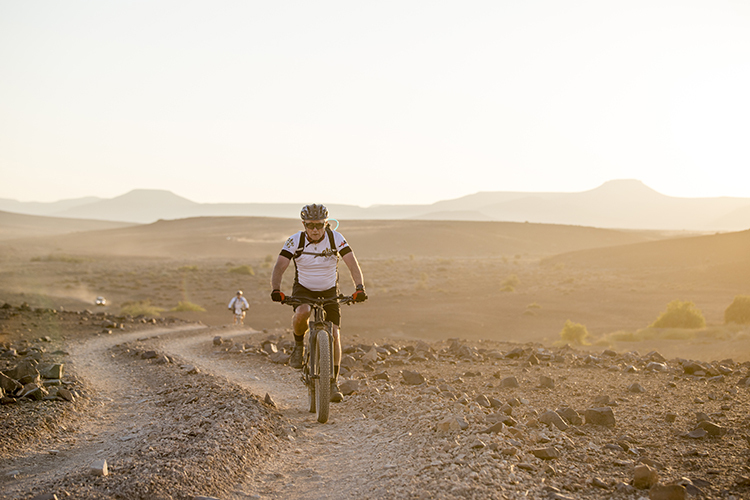 From this challenge, funds raised will go toward several community and conservation projects in Africa, including those supported by our own Relais & Châteaux Africa properties. 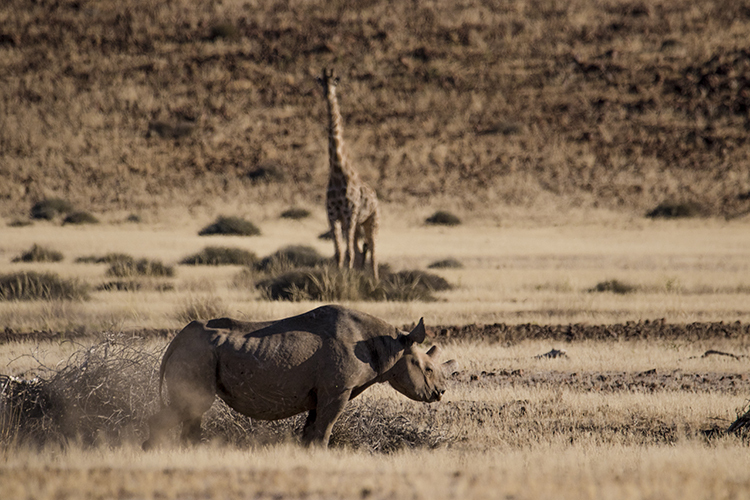 Read Rhino Africa’s blog about the event with many more great photos.